There are several indicators to judge the real estate market in SW Florida. A few of the things we look at are Inventory levels, pending sales, closed sales, and price changes. Real estate inventory levels grow in SW Florida. A neutral market is considered to be 5.5 months. 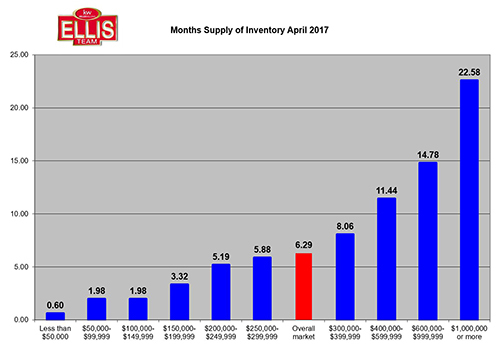 When we last calculated month’s supply of inventory back in December 2016 the overall market supply for single family homes was 5.65 months. That number has grown to 6.29 months. That’s still a healthy number, however it is growing. This could be an indication of a shifting market. Market shifts are entirely normal. They are as guaranteed as the weather changing, so it’s nothing agents fret about one way or the other. Experienced agents are accustomed to dealing in shifting markets. The way you market and sell does change as the market changes. In fact, just last September the average supply was 5.07 months. We warned months ago we’d be keeping an eye on these numbers to see if the trend continues. Since September we’ve seen an increase of more than 1 month supply of homes on the market. Because this index includes active listings plus pending sales with contingencies, we won’t get too excited because we have many pending from season that may close and help bring these numbers up. So, what’s the take-away from these numbers? Sellers have increased competition from other sellers. The buyer is not your enemy. Other sellers are. Increasing inventory supply puts a damper on price increases. At some point, it can stall price gains altogether. It also pays to know where your home stands in the food chain. For those that have a million dollar plus home, you realize there is almost a year and a half supply of competing homes on the market. If your motivation is to sell, you have to price your home to best compete against all those other homes. If you have a home in the $300,000-$400,000 range, you too need to watch the market as your price range is above the average. Homes, $300,000 or less, are doing better than the overall market as there are more buyers fighting to purchase these homes. Not everyone qualifies for the higher priced homes. When bringing a home to the market you must ask yourself, what is your motivation? Where are you going when you sell, and when would you like to accomplish this? Look up your home’s price in the chart and evaluate it objectively. Pretend you’re a buyer. Would you buy your home right now for the price you’re asking? If you don’t like the category your home is in, it’s imperative that you hire the best agent who has experience working in a shifting market, and brings serious marketing for your home. The more buyers who are exposed to your home, the more your home will fetch at the sale. In some cases, it may be the difference of selling at all. The other thing you must do is price it correctly. Your number can’t be what you’d like to get, or what you need to get. It has to be what the market will bear. The market has no sympathy. It doesn’t care if your home is your retirement nest egg, or you owe a lot on it. The market sizes up all the homes for sale and ranks each one. The home’s that show the most value relative to their price sell. Even if a home is super nice, if it is overpriced relative to its value, it will sit. Think of a pro football player. A team only has so much money to spend. They have a budget. If there is an all-pro quarterback available in the free agent market whose value is $10 Million per year, but he wants $30 Million because he’s special will a team pay it? Probably not if they can get another all-pro quarterback in the $10 Million dollar range. They’ll save that $20 Million and spend it on other players they need to fill out the team. Tony Romo just retired because his value dropped. He wants top money and while teams would love to have him as a backup, he’s not the franchise player anymore. It’s sad, but it’s reality. It doesn’t matter how nice a home is or what it has in it. If you overprice it relative to the market, it won’t sell. You can search the MLS like a pro for free at www.LeeCountyOnline.com Please call the Ellis Team 239-489-4042. We’ll help you price it fairly, and market it aggressively. 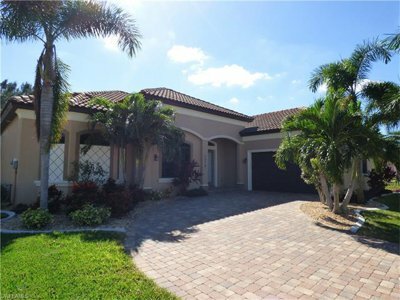 Posted in Cape Coral, Cape Coral Real Estate, Fort Myers, Fort Myers Beach, Fort Myers Real Estate, Open House, Southwest Florida Real Estate.Tagged Ellis Team open house, Real Estate Inventory Levels Grow in SW Florida.